The Mickey Mouse Theater of the Air was a musical-variety radio series for children, sponsored by Pepsodent and heard on NBC. Broadcast from the Disney Little Theater on the RKO lot from January 2 to May 15, 1938, the program was created to promote the February 1938 release of Snow White and the Seven Dwarfs. In addition to Snow White (January 9, 1938), other shows in the series included "Mother Goose Land," "Cinderella," "King Neptune," "The Pied Piper," "The Old Woman in the Shoe" and "Old MacDonald." 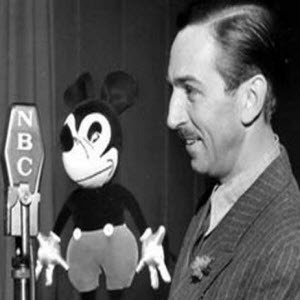 Walt Disney did the voice of Mickey Mouse for the first four episodes. Other Disney characters featured on the program were Donald Duck (Clarence Nash), Minnie Mouse (Thelma Boardman), Goofy (Stuart Buchanan) and Clara Cluck (Florence Gill). Music was provided by the Felix Mills Orchestra, Donald Duck's Swing Band and The Minnie Mouse Woodland Choir. The opening theme music was "Who's Afraid of the Big Bad Wolf?". John Hiestan was the announcer for this Sunday afternoon program.